We often see 20-year-old Mamichi and 17-year-old Ayumi around the streets of Harajuku. 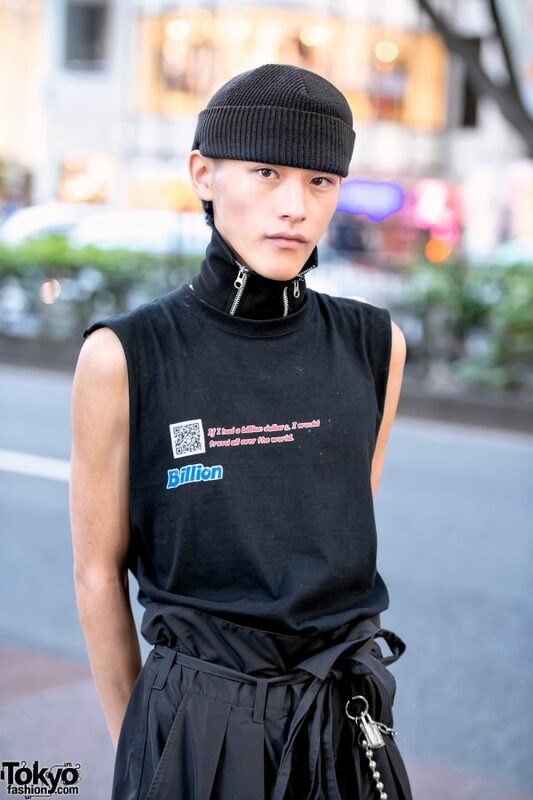 This weekend, Ayumi had a popup shop for her own fashion brand Billion at Zooman Gallery in Harajuku and we ran into them on a break from the popup. 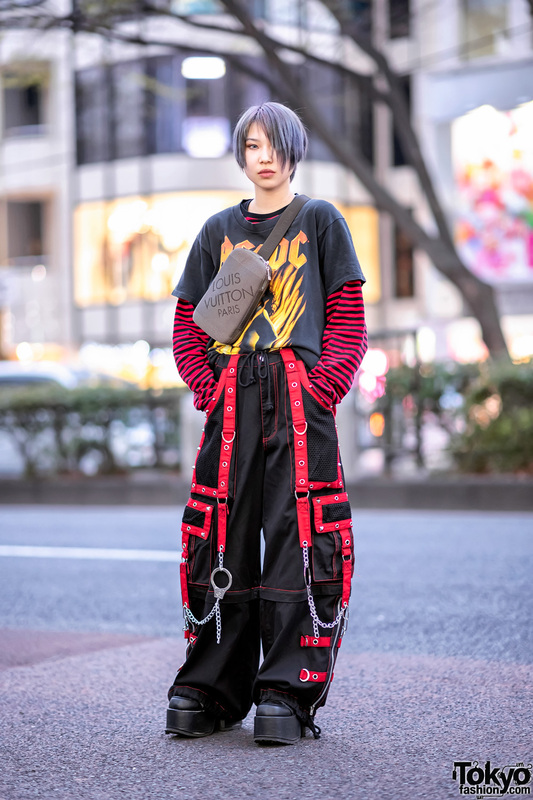 Mamichi – a web designer – is wearing a Billion sleeveless top with a zipper collar by Unknown_Section, cuffed pants, and Rick Owens sneakers. 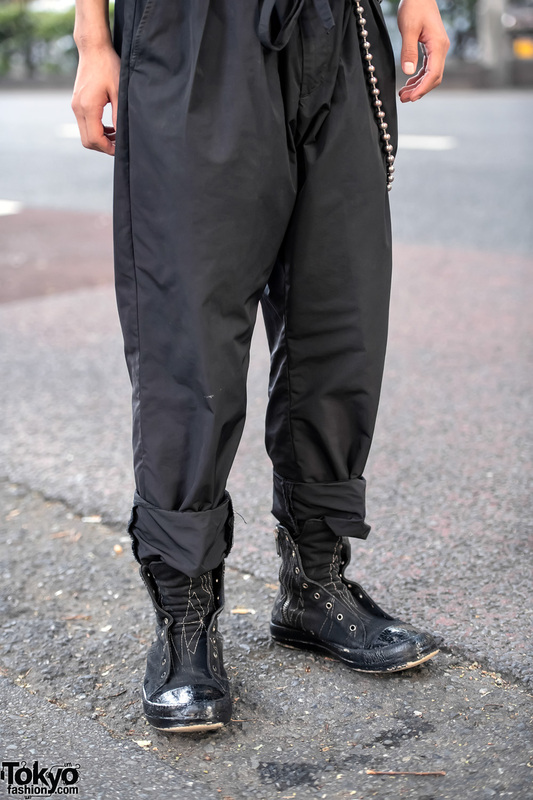 He is active on Instagram if you’d like to see more of his personal street style. Ayumi – the Billion fashion designer – is wearing a Billion dress with black suede boots. Her favorite fashion brands include Billion, UNIF, and the female owned Japanese streetwear brand MYOB NYC. Her favorite band right now is Higher Brothers. Follow Ayumi on Instagram or Twitter for more about Billion and her personal fashion.